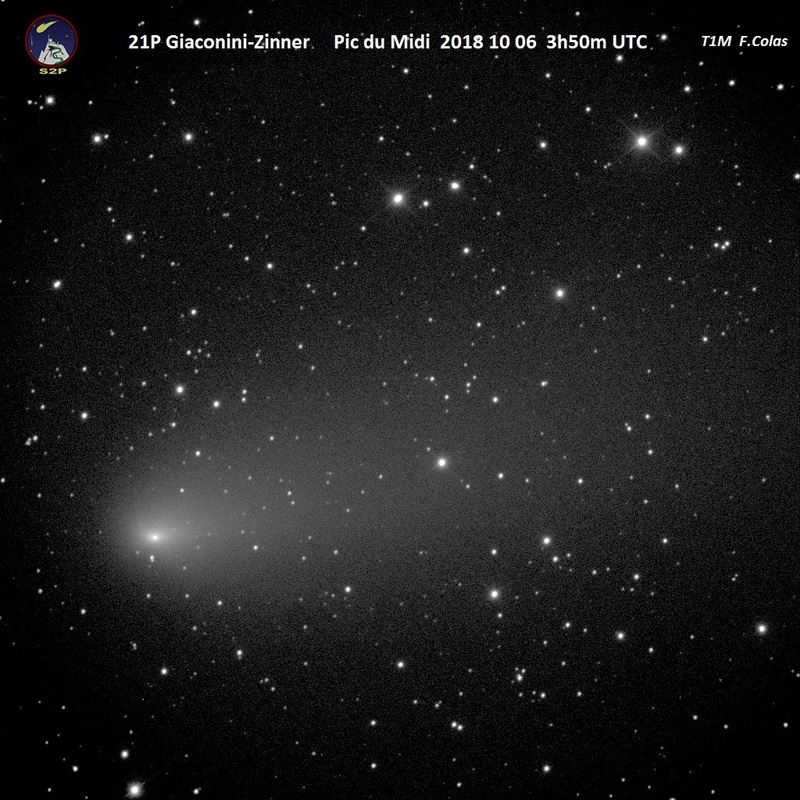 It was the Summer comet: 21P/Giacobini-Zinner became visible with a simple pair of binoculars, as it passed perihelion, in September, and reached +7 magnitude. 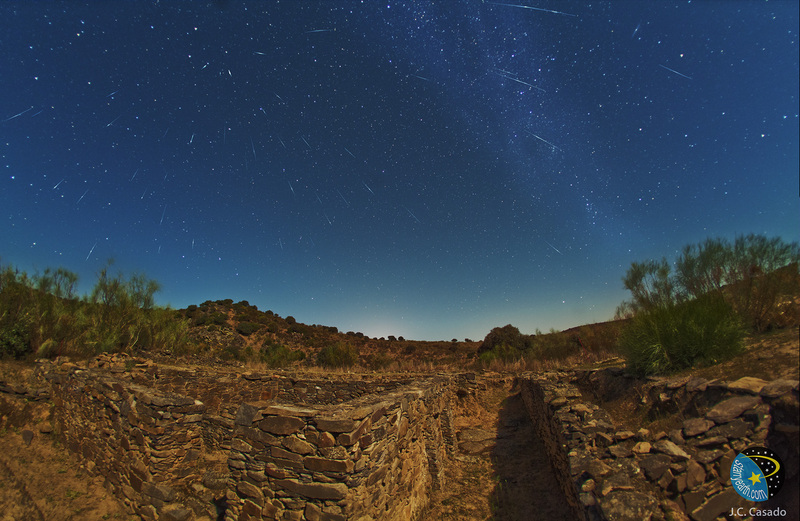 One month later, the comet is fading, but another astronomical may bring it back to the front scene: Draconid meteor shower, associated to meteoroids released from 21P/Giacobini-Zinner nucleus is going to peak on October 8-9. And even if nothing exceptionnal is predicted, perihelion years are sometimes associated to activity outbursts. Stay alerted for the whole activity period! In 1998 & 1999, 2005, 2011 & 2012, near the last perihelion dates for 21P/Giacobini-Zinner, Draconid outburst were recorded and observed. During the last return of the comet, a meteor outburst with ZHR reaching 300 was predicted and observed (in 2011). But one year later, in 2012, nothing was expected but another outburst, with similar activity levels, was recorded with radio/radar methods. This is why meteor observers shoudl keep alerted this year, even if nothing is predicted. The “node crossing”, which corresponds to the “classical” maximum, should be reached between October 8, 23h UT and October 9, 01h UT, with a maximum probability at 00h 10min UT on Oct 9. Regarding the potential activity outbursts, dates and times spreads over a longer period. 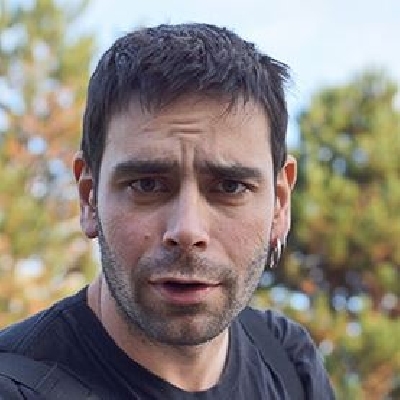 Considering past outbursts, they could happen this year between October 8, 15h 30min UT (considering 2011 outburst) and October 9, 08h 50min UT (considering 1999 outburst). This is why observers should try to observe and monitor the shower as much as they can, because no one can predict when the outburst is more likely to occur. Except for a potential slight activity enhancement when the Earth will pass close to a dust trail released in 1953, but which has been disturbed in 1985, when our planet came close to it. Rates are difficult to estimate, but times are quite coherent with the different models. Mikiya Sato predicts a ZHR ranging from 20 to 50 on Oct 9, 00h 14min UT, whereas Jérémie Vaubaillon predicts a ZHR~15 on Oct 8, 23h 31min UT, very close from Mikhail Maslov model, which gives a ZHR ~ 10-15 on Oct 8, 23h 34min UT. 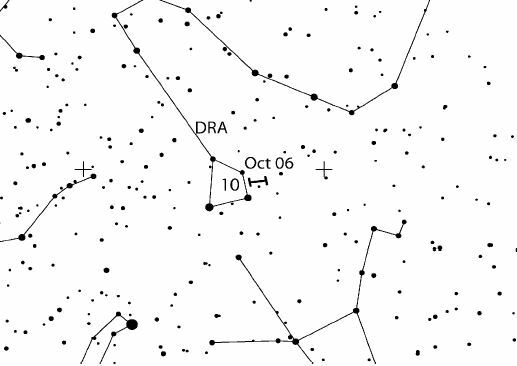 Draconids radiant is located in the head of Draco, and is thus circumpolar for many observing sites in the Northern hemisphere, even if it’s best located during the beginning of the night. Draconids are slow meteors: the meteoroid reentry speed is only 20 km/s. They will appear slow moving, even if they are located far from the horizon and radiant. But this slow apparent speed is a good indicator to disregard all sporadic meteor that would accidentally align with the radiant and false activity rates deduced from observations, especially if they are low. Good luck and clear skies to all!